Soulful, mature and anointed have been some of the adjectives used to describe her sound. Since then, Kaira has grown and continues to develop her gift. Kaira has been performing around the eastern NC area and has been blessed with invites to perform in venues featuring Gospel music greats such as Dottie Peoples and Vicky Winans in Jacksonville, NC, Psalmist Doreen Vail in Ayden, NC, Gospel Rapper Lecrae in New Bern, NC and Pastor Shirley Caesar in Wilmington, NC. Kaira has also ministered at youth services in Wilmington, New Bern, Havelock and Goldsboro, NC. Kaira has written a couple of the songs on her debut CD including her first recorded single "My Everything". Kaira was inspired to write this song after her father returned home from a second deployment to Operation Iraqi Freedom in 2005. This debut project had done remarkably well and was nominated for a Stellar Award in the ?Children's Performance of the Year? category! Kaira represents the next generation of gospel music singers poised to take her place and follow the gospel music greats that have preceded her. Kaira has been blessed with a natural ability and affinity for music. Kaira has always been drawn to singing and musical instruments from her earliest days. She has shown promise in several percussion instruments to include the snare drums. 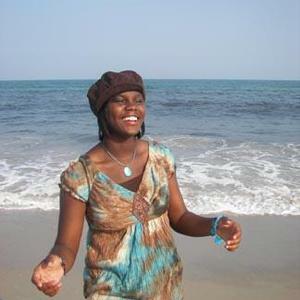 Kaira is self taught on the keyboards and continues to develop her music writing and playing skills. Singer, songwriter, and budding musician, Kaira is ready to share her God given ability to help uplift, heal, inspire and entertain God's people. Kaira's music, fuses, R&B, and soul and provides the listener the opportunity worship, praise, and dance to the Glory of God. Introducing Kaira...Songs from upcoming CD "My Everything"